The concluding act in the legal saga of a former Brazilian oil and mining tycoon kicked off this week. 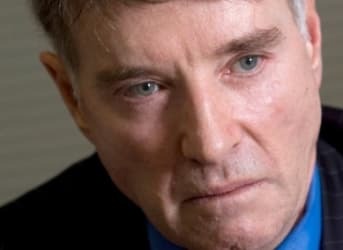 Eike Batista’s trial began in Rio de Janeiro on November 18, where he faces charges of insider trading. If convicted Batista faces up to 13 years in prison. The stunning fall from grace seemed unimaginable as recently as two years ago. Batista was worth $35 billion in 2012, enough to make him Brazil’s richest person and the seventh richest person in the world. He even flamboyantly crowed about how he would soon surpass Mexico’s Carlos Slim to become the world’s richest person. Batista sat atop EBX, a conglomerate of companies that ranged from oil and gas production, to mining, shipping, and infrastructure. He is well known in Brazil, where he is often referred to by just his first name, and he was once a revered business figure. He was a major philanthropist and poured his money into reviving the city of Rio de Janeiro where he lived. Batista even chipped in $9 million to help Rio de Janeiro win its 2016 Olympic bid. The seeds of his demise began when his flagship company OGX – an oil and gas firm – overpaid for some offshore oil blocks in the Atlantic in 2007. In characteristic fashion, Batista made grand promises about production levels. Despite his confidence, the oil never flowed in the way he described. A 2011 company report suggested that its oil reserves were not as certain as the company led investors to believe. As its stock price began to falter, OGX took on more debt to shore up the company’s finances. The following year production test results came in far below OGX’s and Batista’s estimates. From there, confidence in his array of companies began to vanish and their share prices plummeted. But as his companies shed their values, Batista promised to throw in $1 billion of his own money to keep them steady. This helped right the ship for a period of time, but Batista never actually invested any money. Instead, he sold off his shares. And that act is what he will stand trial for – whether or not he deliberately mislead investors and used privileged information before selling his stake, knowing the stocks were about to fall. OGX declared bankruptcy in 2013, Latin America’s largest bankruptcy ever. He lost nearly all of his $35 billion empire in “one of the largest personal and financial collapses in history—if not the largest,” as Bloomberg Businessweek dubbed it in a 2013 feature report. He says he is now $1 billion in debt. Batista’s downfall is mirrored in the country’s current troubles. The economy has stalled out, and state-owned oil firm Petrobras is mired in scandal. Two former Petrobras executives have been arrested for their involvement in a bribery scheme. They allegedly inflated contracts and skimmed off money, which was diverted to officials in the ruling Workers Party. Not only that, but Petrobras also just revised downwards its oil production figures, estimating that production will rise by 5.5 to 6 percent, lower than its original 7.5 percent guidance. Petrobras cited delays in equipment delivery and licensing. The arrest of Petrobras executives, and especially the trial of Batista, could have huge ramifications for the rule of law in Brazil. “This is the first case that a Brazilian businessman of this relevance will stand trial with enough proof indicating he could go to jail,” said Flavio Roberto de Souza, the judge who Batista will face in court, according to the Wall Street Journal. “It's a historic moment for the justice system,” he reiterated after the proceedings on November 18. The rich often get off criminal charges by paying fines in Brazil so a potential conviction of Batista for inside trading – which would make him the first person in Latin America to be convicted of such a crime – could be a watershed moment for the country.